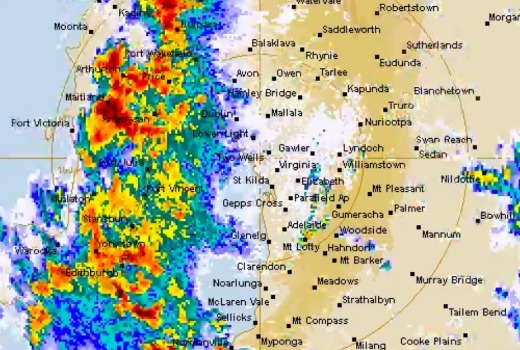 Early evening storms in Adelaide and power outages resulted in the great city switch-off. Shows including Nine News, Hot Seat, TEN Eyewitness News, Family Feud, The Chase, The Bold and the Beautiful all drew complete zeros in that city. OzTAM advises viewing was impacted between 15:48 to 18:56, but ongoing power restoration could even result in a reduced reporting sample for the next few days. It advises caution should be exercised when analysing data for Adelaide. As a result of the outages no show, understandably, managed to crack the magic million last night. All things considered, here is how they stacked up. Seven network won with 27.4% then Nine 26.3%, TEN 20.1%, ABC 19.7% and SBS 6.5%. Seven News was #1 with 968,000 / 954,000 for Seven followed by Home and Away (657,000), Border Security (635,000), The Chase (562,000 / 374,000), The Force (537,000 in 3 cities) and Movie: Lucy (504,000). Nine News (862,000 / 832,000) was best for Nine then The Block (817,000), Doctor Doctor (661,000), Hot Seat (405,000) and Amazing Medical Stories (300,000). The Wrong Girl (684,000) led for TEN followed by The Bachelorette (570,000), The Project (560,000 / 329,000) and TEN Eyewitness News (434,000). NCIS: LA was 236,000. Gruen (796,000), ABC News (716,000), Anh’s Brush with Fame (693,000), 7:30 (564,000), You Can’t Ask That That (473,000), QI (453,000) and Would I Lie To You? (321,000). On SBS it was Great American Railroad Journeys (252,000), 24 Hours in Emergency (221,000) and SBS World News (140,000). The Secret was 79,000. ABC2’s Peter Rabbit was best with 213,000. ABC News Breakfast: 113,000 / 65,000. The Wrong Girl is repeated tonight at 9:30pm in Adelaide. I’ve got fingers crossed for Son of Zorn, the Simpsons season 28 premiere and Doctor Doctor to get a replay. Last night was boring for me. I asked Santo the Weatherman – he said the weather was very squiggly. No reason to believe the stations didn’t keep transmitting during the power cuts. They would have generators surely? So of course they would have broadcast news. Ouch to SA commercial stations for all of those make goods. Perhaps insurance will cover but maybe not if they were actually broadcasting. Hmmm. I’m pretty sure that the commercial networks will not have to give away freebies because of a wide-spread power outage. Maybe someone should look into why there was wide spread power loss of course the state reliance on wind and solar power that requires them to import power from interstate sources may have nothing to do with it……. !! looked into it for you, apparently a 1 in 50yr storm smashed the bejeebus out of South Australia yesterday, found that out on ABC24, which is tv related, unfortunately no Versailles for me tonight, any idea on season 2 David? Don’t believe S2 has aired in Europe yet. S3 is approved. The extreme winds knocked out major towers in the mid north. Sometimes it is a good idea to understand the facts before jumping into comments. It has been well explained by several who know, to those of us not in SA, that renewable energy supply had nothing to do with it. Pictures on abc.net.au show transmission towers near Melrose completely destroyed. Only one of the two links to Vic. was down (as it has been since July). The other is still working. SA has closed coal power stations but has gas gas-powered stations. When there is a major line failure it will cascade, shutting down the system for safety reasons. Restoring is not as simple as just flicking a switch. You do realise that this is a website centred on TV. It is not exactly the website to get political. I watched the Wrong Girl and found it very good. Pretty sure this will build up and get a decent audience. It was a bit like Bridget Jones for the Aussie market. I will be watching it again. My PVR will go into overload in the coming weeks with Gruen and the new SBS drama (title escapes me) also airing at the same time – thank goodness ABC iView and SBS Demand are reliable. I found it a bit hard to watch because I’ve read the book and found major differences between the book and the tv show. I’m not sure about it but the pilot did keep my attention so I will watch again next week. I’ve pvr the first three episodes of doctor doctor yet I can’t bring myself to watch it and not sure if I will. I watched the first 2 episodes of Dr Dr, and was pleasantly surprised. Although in future I’m going to stop watching as soon as it ends before they show what’s coming up in the next episodes, as there’s a 5 minute montage of future storylines that I feel give to much away. It was a major spoiler alert. Please note no comments which reference weekly numbers or earlier episodes will be approved today.